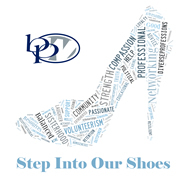 True to our mission, BPW holds events throughout the year to advocate, educate and provide information about the issues of working women. By creating an environment for conversation, there are numerous ways for members and guests to get involved in creating change throughout the community. Our events vary from general membership luncheons to member socials, from panel discussions to committee meetings, from professional development workshops to special events that observe significant milestones for women in the workplace and/or events organized by philanthropic organizations with like-minded missions.